In PTBN’s SummerSlam Rewind series, we will be looking back at a five different installments and discussing the build, matches, legacy and fallout. Each episode will have a different panel of three hosts. Enjoy August and the build to SummerSlam with this PTBN Rewind Series! In this edition of the PTBN SummerSlam Rewind, Scott Criscuolo, Graham Cawthon and Dan McGinn discuss SummerSlam 2005. They discuss Shawn Michaels, Hulk Hogan, Rey Mysterio, Eddie Guerrero, Batista, Chris Jericho and much more. 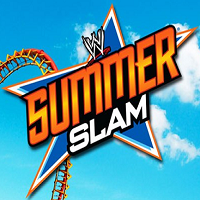 Be sure to check out all the installments in our SummerSlam Rewind Series throughout August!